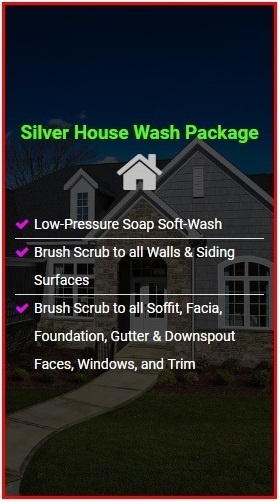 Our Silver Exterior House Washing Package includes a complete low-pressure cleaning of your homes siding surfaces, gutter & downspout faces, soffits, windows, and trim. 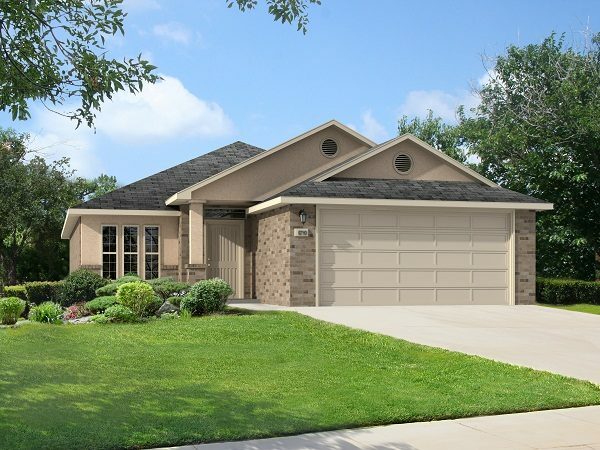 Tags:1500, detailed house wash, downspouts, gutter, gutter and downspout faces, House, low-pressure, power washing, silver, silver package, soap, soffis, soft-wash, soft-washing, square foot, trim, up to, wash, washing, windows. Our Silver exterior house washing service includes a complete low-pressure cleaning of your homes siding surfaces, gutter & downspout faces, soffits, windows, and trim. Our cleaning is intended to remove all cobwebs, dirt, grime, mold, mildew, and debris from your homes exterior surfaces without damaging any of the sidings or stripping any of the paint. Our Silver exterior house washing service begins with an application of our biodegradable house washing solution to your homes siding surfaces, gutter & downspout faces, soffits, windows and trim, followed by a soft bristle brush scrub to help remove mold, mildew, and other contamination. We finish our Silver house wash off with a filtered fresh water rinse. With our low pressure/no damage "soft washing" application we safely and effectively remove mold, mildew, bird waste, and other unsightly debris from your home to restore the curb appeal of your residence.